"In Stuttgart and Halle in the warm-up events, Federer's return game was poor, breaking opponents just 16.8% of the time. In addition, and these stats often work in tandem, he didn't destroy his opponents, winning just five sets by a 6-3 margin or better (the others were all 6-2) out of the 22 he played." Yesterday saw the last minute withdrawal of Andy Murray from the tournament, with the Scotsman unable to commit to the event given the fitness issues that have beset him over the last 12 months. After a facile win over Stan Wawrinka at Eastbourne early last week, Murray was trading just below the [20.0] mark in the tournament winner market, although that had moved up to around [40.0] after his subsequent defeat to Kyle Edmund. With this in mind - a price of around [40.0] implies that a player has a 2.5% chance of winning the event, in what is a pretty efficient market, it can certainly be argued that the Betfair Exchange market had a more realistic grasp on Murray's chances of winning than the British media. The beneficiary from Murray's demise is Jason Jung, who takes his place as a lucky loser against Benoit Paire tomorrow. Moving on to today's matches, we have the top half of the men's draw in action today, and this enables us to have a first look at Roger Federer, Grigor Dimitrov and our outright choice in the men's event, Marin Cilic. As always, it's worth being pretty conservative regarding pre-match staking in the opening round, given the fitness doubts over a number of players. Federer is a prohibitive [1.03] against the Serb, Dusan Lajovic, and this does look a few ticks short based on my data. They actually met at this event in the second round last year, with Federer coming through in three sets in a 7-6 6-3 6-2 triumph. My angle here is to oppose Federer on the game handicap. In Stuttgart and Halle in the warm-up events, Federer's return game was poor, breaking opponents just 16.8% of the time. In addition, and these stats often work in tandem, he didn't destroy his opponents, winning just five sets by a 6-3 margin or better (the others were all 6-2) out of the 22 he played. 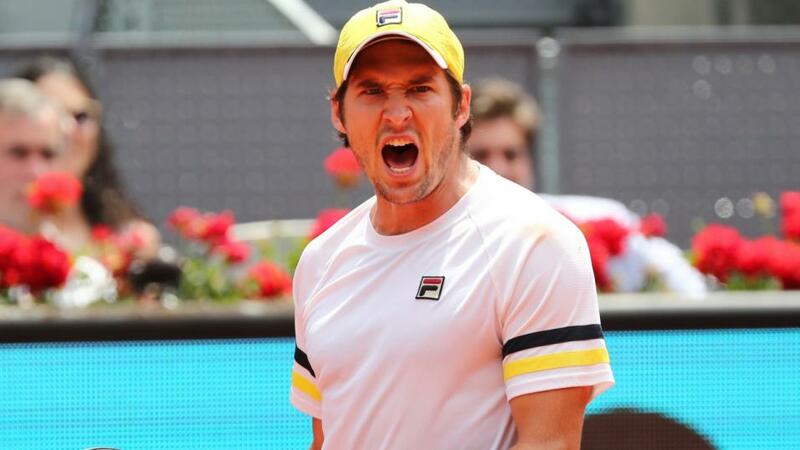 Given this, the +8.5 game handicap line on Lajovic at [1.89] looks pretty generous - he's far from an incompetent player, even away from his favoured clay, and I give him an excellent chance at covering this. As for Dimitrov, he faces Stan Wawrinka, who is Stan Wawrinka now in name only. The Swiss man has suffered a torrid 2018 as he attempts to come back to main tour action following long-term injury, winning a mere five of 14 matches, and having particular issues on return, winning just 32.7% of return points and breaking opponents a woeful 13.8% of the time. I do not expect Wawrinka's famed ability rise on the big stage to manifest itself, and Dimitrov is correctly priced at [1.27] on what is his best surface. Our outright pick, Cilic, shouldn't be overly troubled by Yoshihito Nishioka, with the Japanese man having a 1-5 record at main tour and Challenger level matches on grass (including qualifiers). The Croat is realistically priced at [1.03] to progress to the second round. The other match I want to discuss in some detail is Radu Albot against Pablo Carreno-Busta, and here I feel we have a real opportunity to get the tournament off and running with a long-shot winner. Carreno-Busta is 0-5 on grass throughout his career, winning just 55.6% of service points and 28.9% on return, and looking at his data, we can also see a correlation between this and a general hatred for quicker conditions, as his record indoors is also very poor as well. Indoors, he's 8-11 in the last three years, and again we see a real struggle on serve, winning 59.7% of service points and holding just 71.6% of the time. While quicker conditions generally boost a player's ability to hold serve, we can see it isn't the case for the Spaniard. Despite these obvious shortcomings, Carreno-Busta is [1.44] to get the win over the Moldovan, who of course is nothing special himself, but he's won four out of ten grass court matches in his career and is accurately reflected by his ranking just inside the top 100. I can't for one minute have a player who has never won on grass at this price, so taking Albot as a heavy underdog at [3.10] makes sense to me. There are a number of other superb-looking matches on today's card, with Daniil Medvedev's next-gen clash with Borna Coric looking a real highlight, while Gael Monfils' match-up with countryman Richard Gasquet is another. In addition, Brit Liam Broady takes on Milos Raonic, while two declining veterans in the shape of Ivo Karlovic and Mikhail Youzhny meet - tiebreak value hunters might want to focus on this.